I work in the fields of pre-1900 American literature and History of the Book. I'm particularly interested in the business side of literature, and for the past few years I've been writing about publishers' behavioral codes, or ethics. 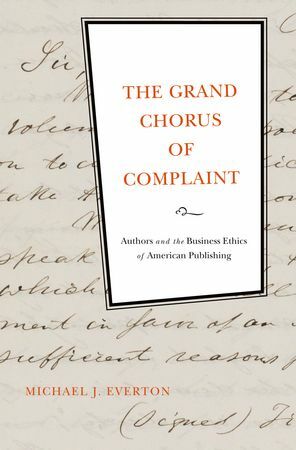 My first book, The Grand Chorus of Complaint (Oxford UP, 2011), explores how moral beliefs structured American author-publisher relations between the Revolution and Civil War. My new book project is a history of American trade courtesy, an extra-legal intellectual property (IP) system that organized, via so-called informal norms, the transnational book trade in the days before (and even a bit after) international copyright in 1891. While my focus is on the nineteenth-century U.S., the archival fieldwork on American, British, and Canadian business practices could have applications for working around weaknesses in current international IP law. Beyond this research on publishing history and law and lit., I'm working on a new student edition of Billy Budd, Sailor for Broadview Press, a project that has me (happily) teaching a lot of Melville right now. 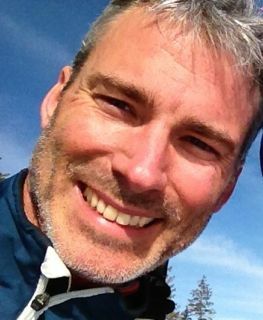 Other research interests include economics, ethical literary theory, and the history of authorship. I've held research fellowships at the Huntington Library, the American Antiquarian Society, and the Bibliographical Society of America, and my work has appeared in Early American Literature, Legacy, Style, and ESQ, as well as in collections such as Edgar Allan Poe in Context (Cambridge Univ. Press, 2012). At SFU, where I've taught since 2005, I'm involved with the English Department's print culture curriculum, a prolific group of researchers working on and teaching just about every aspect of Book History. In addition to my teaching in that graduate program, I run courses on pre-1900 American literature and literary history at the undergrad level, and I supervise honours and graduate students in those areas as well.